›› Drawer Boxes, or metal drawer sides, are used in kitchen and bedroom drawers as a simple and strong option for drawers. ›› These metal sides are easy to fit to any drawer front, and allow the drawer to removed from the cabinet by simply lifting as you open. 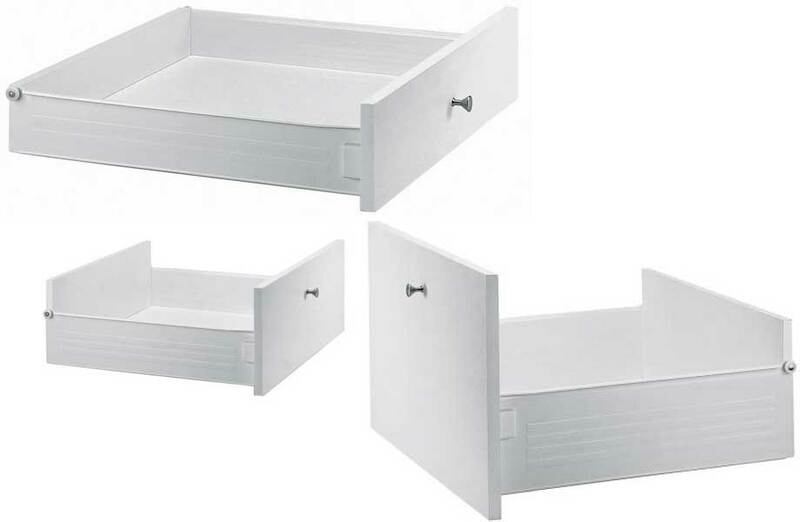 ›› Available in 86mm, 117mm, and 149mm heights for cutlery, pan or deep pan drawers.